Save the Date! A Celtic Evening/Whisky Tasting event is planned for November 30, 2010. 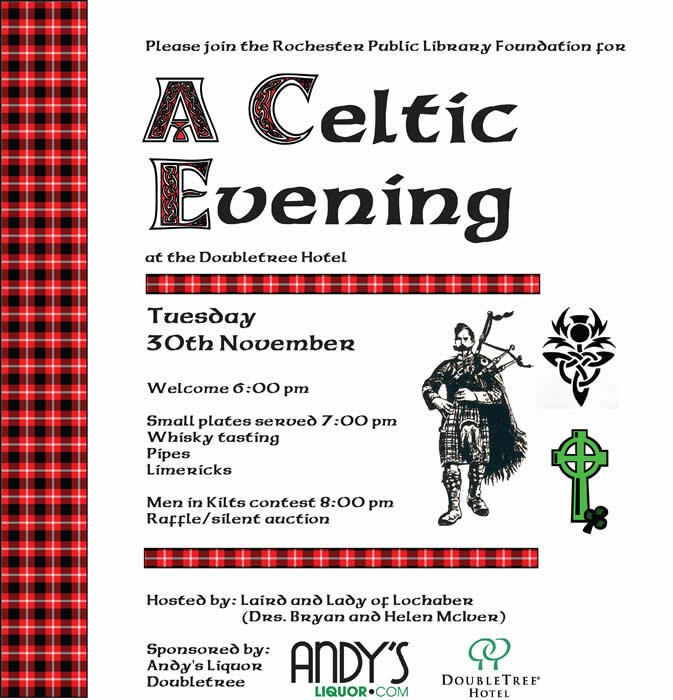 This event is a fund-raiser for the Rochester Public Library through the Foundation and Friends. For more information or to register, visit the Foundation web page. For our online registrants only, further incentive to sign up for the early bird registrations. In July, the first 25 people to register will be included in a random draw to win a bottle of Tomatin Highland whisky. This entry was posted in Uncategorized and tagged Fundraiser.